June | 2013 | MOVIE MUSIC INTERNATIONAL. MMI. / CINEMA AND TELEVISION FOCUS. (formely Movie music Italiano). Maurice Alexis Jarre was born on September 13th 1924 in Lyon France, and commenced his musical training at the age of sixteen. The young Jarre had originally set out to become a radio engineer which was at the request of his Father, who was at the time a technical director for the French broadcasting corporation. Maurice however had other ideas about what he wanted to do in life. After a brief introduction to the career his Father had chosen for him, Jarre decided to leave and go to Paris to study music and made the decision that he would not just be a musician but would study to become a composer and also a conductor. He began by studying solfeggio which is an exercise for voice, harmony and also percussion at the Paris Conservatory of Music. After a period of some three years he became an accomplished performer and one of the featured timpanists within leading Paris orchestras performing under the batons of numerous distinguished conductors, Pierre Monteux and Charles Munch amongst them. It was at this time that the young aspiring composer began to study counterpoint, orchestration and fugue whilst continuing to take tuition in conducting under the watchful eyes of Charles Munch, Arthur Honegger and Louis Aubert. In addition to this Jarre took instruction in electronic music and musique concrete by Pierre Schaefer at the club d’essai of radio diffusion Francaise in Paris. He worked alongside Pierre Boulez as musical director for The Jean-Louis Barrault company, a position he maintained for nearly five years. He then moved on to become the director of music for the national theatre and remained there for almost 13 years. Whilst at the National Theatre he composed nearly sixty scores for productions that included, Don Juan, Macbeth, Murder in the Cathedral, The Hairy Ape, Luther and The Miser and during his time there co-directed the musical comedy LOIN DE RUELL, and collaborated with many well respected writers of the time such as, Harold Pinter, Jean Cocteau and Andre Breton. The composer began to write music for motion pictures in 1951, his first assignment being a short documentary film entitled HOTEL DES INVALIDES for director Georges Franju. After scoring some forty three movies in his native France Jarre worked on his first American produced motion picture which was THE MIRROR CRACKED (1960) which was directed by Richard Fleischer. Jarre collaborated with the director a second time in 1961 for THE BIG GAMBLE and in 1962 worked on Darryl F Zannuck’s account of the D-Day landings in the form of the now classic movie THE LONGEST DAY. It was however after these three movies that Jarre became an example of the so called overnight success scenario when he collaborated with British director David Lean on the epic war movie/biopic LAWRENCE OF ARABIA. 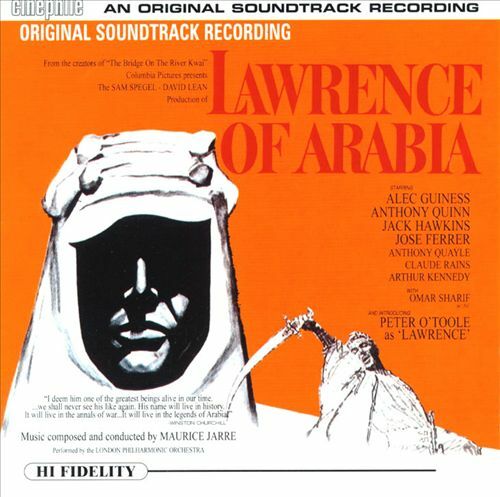 The composers sprawling and rich use of music in LAWRENCE OF ARABIA raised the cinema going public’s awareness of Jarre, this was not only a major film for the composer, but also an important milestone in his career, as it was to be the beginning of a lasting professional collaboration with director David Lean and also the start of an enduring friendship between the two men. LAWRENCE OF ARABIA also garnered the composer an Academy Award, which was to be the first of three Oscars that he would receive for his work in film, the others being for DOCTOR ZHIVAGO in 1965 and A PASSAGE TO INDIA in 1984, both of which were also directed by David Lean. The composer was to receive a further half a dozen nominations throughout his career for the prestigious Academy Award or Oscar and was either the recipient of, or nominated for numerous other awards and prizes all over the world. During the 1960,s Jarre was one of the most sought after film music composers worldwide, scoring some of Hollywood’s most popular productions and being equally as industrious outside of tinsel town. Arguably the 1960,s, or the Silver age of film music as it was often referred to by aficionados of the soundtrack community was Jarre’s most productive and prolific period within his fifty year career, as it was at this time he created and established his own unique and instantly recognisable style and sound, placing his original musical fingerprint upon numerous motion pictures and establishing himself a composer who was able to adapt easily to every situation and any genre. Films such as THE TRAIN, GRAND PRIX, THE COLLECTOR, VILLA RIDES, THE PROFFESSIONALS,TOPAZ, NIGHT OF THE GENERALS, BEHOLD A PALE HORSE, THE DAMNED, THE LONGEST DAY and IS PARIS BURNING? Were all enriched and benefited from the composers abundant gift for melody and obvious ability to fashion music that enhanced and supported the films story line and imagery, and at the same time was popular away from the motion pictures it was crafted for. The composer continued to be gainfully employed during the next two decades producing impressive, haunting and varying themes within scores for the likes of DEAD POETS SOCIETY, SHOUT AT THE DEVIL, A SEASON IN HELL, MAD MAX-BEYOND THUNDERDOME, GREAT EXPECTATIONS, THE MAN WHO WOULD BE KING, FATAL ATTRACTION, MOSQUITO COAST, RYANS DAUGHTER, CROSSED SWORDS, ENEMY MINE, GHOST, MOON OVER PARADOR, TAI PAN, EL CONDOR, JESUS OF NAZARETH, THE MESSAGE, LION OF THE DESERT, SHOGUN and WITNESS to name but a handful. Jarre utilized a wide-ranging pallet of instrumentation, fusing with consummate ease conventional symphonic colours and synthetic sounds that not only complimented each other but combined to create memorable and at times magical moments. Since 1951, Jarre has scored nearly 200 motion pictures and collaborated with some of the movie industries most respected directors and producers. Luchino Visconti, Franco Zefferelli, Alfred Hitchcock, William Wyler, Peter Weir, Adrian Lynne, John Huston, Michael Apted, Terence Young and Fred Zinnemann among them. The composers musical output however was not restricted to writing exclusively for the cinema, as during his career he produced compositions for concert hall performance, ballets and also music for the theatre. His ballet NOTRE DAME DE PARIS is part of the permanent repertoire of the Paris Opera and Ballet and also of The Kirov Ballet in Leningrad. 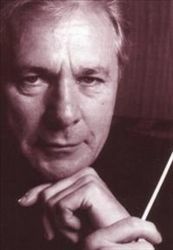 During the latter part of the 1980’s and throughout the 1990’s the composer gave numerous concerts of his film music and conducted a number of important orchestras during this time, these included, The London Symphony, The London Philharmonic, The Philharmonia, The National Philharmonic, The Japan Philharmonic and The Quebec Symphony. Jarre was honoured by the City of Lyon, and decorated by the French government with the distinguished award, Commander des Arts et Lettres, that was bestowed upon him in recognition for his many contributions to the world of music and arts. Jarre was also given the prestigious Legion d’Honneur by the then French President, Francoise Mitterand. The composers final scoring assignment was in 2001 which was a movie entitled UPRISING. 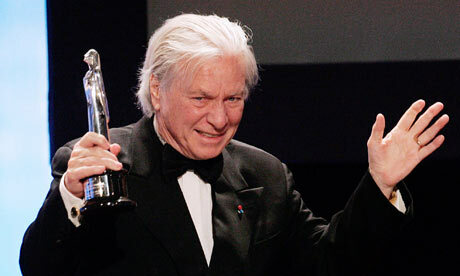 Maurice Jarre died of cancer on March 28th 2009, he left a void within the fraternity of film music composers, that will be impossible to fill. Franz Waxman, was born in Upper Sielesia in Germany on Christmas eve 1906. Waxman was the youngest of six children and came from a family that was not musical in any way, His Father was a successful industrialist who felt that Franz would be better suited to a career in banking as he was of the opinion that no one could make a living out of music. The young Waxman however did have piano lessons from the age of 7 yrs, when he started working he went into banking as his Father wanted and worked as a clerk for some two and a half years using his wages to fund his lessons in piano ,composition and counterpoint. After this period Waxman resigned from the banking job and moved to Dresden but stayed there for only a short time, he eventually moved to Berlin to study music proper. His musical education was paid for by money he earned from playing the piano in nightclubs and also from working with a band called the Weintraub Syncopaters who were very popular jazz ensemble at the time. 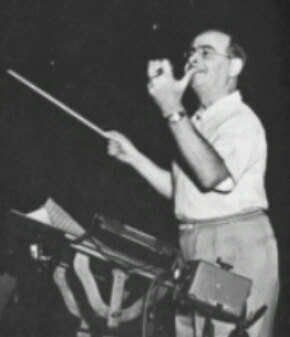 Waxman also began to do arrangements for the band and this led him into orchestrating some early German musical films. Fellow composer Frederich Hollander, who had written music for the band gave Waxman his first significant scoring assignment, this was to perform the orchestrations and also to conduct his score for THE BLUE ANGEL. The films producer Erich pommer was impressed with the way in which Waxman orchestrated the score and he offered the composer work at UFA Studios in Berlin. Waxmans first job there was to score Fritz Lang’s version of Liliom (1933), which again was successful for Waxman. Pommers next movie was Jerome Kern;s MUSIC IN THE AIR which was for Fox films in 1934, this meant that the producer had to travel to the United States and he asked Waxman to accompany him to work on the arrangements for the film. Waxman soon became noticed by other filmmakers and in 1935 he worked on James Whale’s THE BRIDE OF FRANKENSTEIN, which was his first Hollywood film score. This assignment led to a two year contract with Universal studios as head of their music department. He worked on more than 50 movies during this time as music director and composed the scores to at least 15 of these. Among the best known of these are THE INVISIBLE RAY and MAGNIFICENT OBSESSION. In 1936 aged 30, the composer was offered a long term contract with M.G.M. as a composer, during this time Waxman scored approx; seven movies a year and whilst with M.G.M. he worked on movies such as, DR.JEKYLL AND MR. HYDE, CAPTAINS COURAGEOUS and WOMAN OF THE YEAR. It was also whilst at M.G.M. that Waxman came into contact with David O Selznick and in 1937 worked on YOUNG AT HEART for the filmmaker, which was a score that the composer received two Academy Award nominations for, for best original music and best score. Four years later Waxman was again loaned to Selznick by M.G.M. 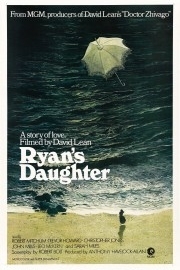 this time to work on REBECCA for which he was again nominated for an Academy Award. The composer left M.G.M. 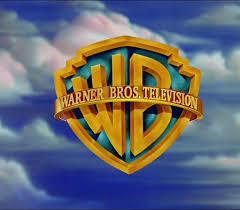 in 1943 and began a long and fruitful collaboration with Warner Brothers films. In 1947 the composer founded the Los Angeles International Music Festival, which he was head of for some 20 years. In 1950 he won the Oscar for his music to Billy Wilder’s SUNSET BOULEVARD and again in 1951 for George Stevens A PLACE IN THE SUN. 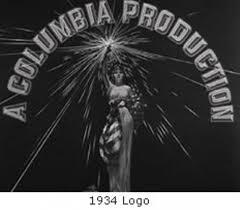 The 1950s and 1960s proved to be a busy time for the composer and it was also during these decades that Waxman produced some of his most memorable works for the cinema, CRIME IN THE STREETS, TARAS BULBA, THE NUNS STORY, SAYONARA PRINCE VALIANT, THE SPIRIT OF ST LOUIS and PEYTON PLACE being just a few titles from his impressive assignment list. It was also during this period that Waxman more or less re-invented the way in which he wrote music progressing from the romantic to at times hard hitting jazz infused scores and also big epic sounding works. He passed away on February 24th 1967 in Los Angeles at the age of just 60. 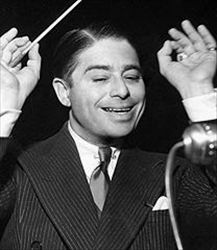 Alfred Newman was born in Connecticut in 1901, he was one of the eldest children in a family of ten. He began to take a keen interest in music from an early age and aged just 5 years he began to have piano lessons and two years later was performing in public. He studied at the Von Ende school of music in New York, where he concentrated on piano under the tutalage of Sigismond Stojowski and counterpoint and composition under the watchful gaze of George Wedge and Rubin Goldmart. The young Newman made an impression on his teachers and won medals for his high standard of piano performance. After his time at the school of music Newman continued to take further musical education from Arnold Shoenberg. During his teen Newman began to perform piano to support himself and also his family, after leaving the school and finishing his studies he was introduced to Broadway by the vaudeville producer Grace La Rue, he began to conduct a handful of shows and these became very successful and as they did Newmans reputation as a fine conductor arranger spread. He finally got his big break in 1920 when George Gershwin appointed him as musical director for THE GEORGE WHITE SCANDALS, which ran till the latter part of 1921. Newman continued to work on Broadway for just over a decade, he was involved in numerous productions that involved Gershwin, Jerome Kern and even Al Jolson. 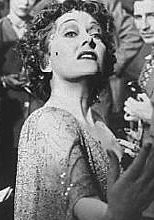 In 1930, Newman received a commission from Irving Berlin and the young composer travelled to Hollywood, Berlin had written the theme for a film entitled REACHING FOR THE MOON, and had asked Newman to be musical director on the movie. Newman decided that he liked Hollywood and settled in California and it was at this time that the composer met Samuel Goldwyn who introduced him to the studio system. Newmans career is phenomenal and he is probably one of the most prolific composers of film scores ever, he wrote the music to well over 200 motion pictures and acted as musical director and supervisor on hundreds of others, he adapted lots of musicals which had been successful on Broadway when they were brought to the big screen and also worked with Charlie Chaplin, conducting the actors music for MODERN TIMES and CITY LIGHTS, it is also Newmans music that we hear at the beginning of every 20th Century fox movie and TV show, this has to be one of the most familiar pieces of music that is connected with the cinema. In 1940, Newman began to work for Fox, he was MD for the studio and not only wrote numerous film scores during this time, but also hired various composers and assigned them to films. It was Newman who championed Hugo Friedhofer and also gave Jerry Goldsmith his first big break in the film music arena. Newman’s music was to become a fixture within Hollywood and his sons David and Thomas carried on the family tradition by themselves becoming highly respected and sought after film music composers and his nephew Randy is also an Oscar winning composer and lyricist. 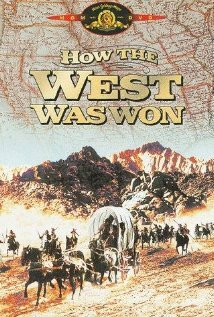 In 1960, Newman decided to leave Fox and go freelance, and he was certainly not short of assignments, it was during this period that the composer wrote the powerful score for the western HOW THE WEST WAS WON and provided THE FLOWER DRUM SONG with its musical accompaniment. Alfred Newman garnered forty five Academy Award nominations during his long and illustrious career and won the Oscar on nine occasions. His musical career spanned four decades and his techniques and stylish orchestrations have had far reaching influences at times manifesting themselves within other composers works for the cinema. 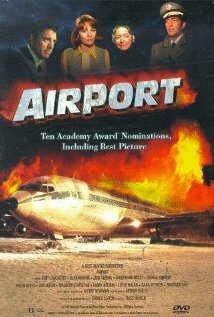 Alfred Newman passed away in February 1970, his last film score AIRPORT received an Oscar nomination just one month later. Newman’s rich and sweeping soundtracks brought a new dimension to the movies he worked on and also like Max Steiner, Alfred Newman was an innovator and an inspiration to numerous other composers. He was also responsible for creating the Newman style for scoring motion pictures, This System is a means of synchronising the performance and recording of a movie score with the film itself. A rough cut of the film is shown for the conductor to look at whilst in the recording session, the film is marked with punches and streamers. Punches are tiny marks in the film, for two of every ten frames, creating a standard beat to help the conductor keep time. To synchronise music and action, the conductor then uses streamers, that are horizontal lines which move across the screen at a regular pace. This system devised by Newman revolutionized the way in which films were scored. Steiner developed a style of writing for film that meant the music did not just act as a background heard playing continuously without direction or purpose, the score became part of the film and the action, in essence it became an integral and important factor of the movie. 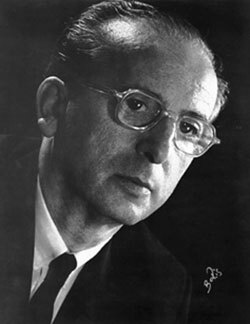 His scores for films such as KING KONG and THE INFORMER were perfect examples of this leitmotif style of music which Steiner would eventually become well known for pioneering in film scoring. Steiner however did have his critics and at the outset of his career in film scoring many referred to his style as Mickey Mousing, but filmmakers and audiences alike took to it immediately, after leaving RKO Steiner went to work for David O Selznick and stated work on GONE WITH THE WIND after the success of this the composer was hired by Warner Brothers where he was to stay for the majority of his working life. Steiner’s first assignment for the Warner Brothers studio was a movie entitled TOVARICH, and later Steiner utilised a section of this score and turned it into the now familiar Warner Brothers fanfare, which was heard at the beginning of every movie that they released. 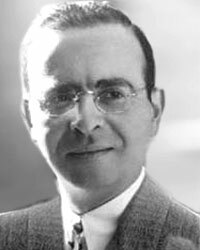 During his glittering and illustrious career Max Steiner was responsible for scoring more than 250 movies and received no less than 26 Academy award Nominations for his work, he won the coveted Oscar statue on three occasions, this was for his music to, THE INFORMER,SINCE YOU WENT AWAY and NOW VOYAGER. Max Steiner was certainly a driving force and source of inspiration within the film music arena, and created the blue print which showed others how a film should be scored. The composer passed away on December 28th 1971 after a long battle against cancer and failing eyesight. He still remains The Father of Film music to many dedicated followers, and his music lives on and is still well respected. The period referred to as the Golden age of cinema, was I suppose just that, it was a time when filmmakers seemed to be able to do no wrong with audiences and every day a new and exciting breakthrough was made within the motion picture industry. It was a time of rip roaring swashbucklers, intense and risqué romances, dastardly villains, cleaner than clean heroes and heroines and good old weepie’s, with storylines that were not exactly water tight but none the less good old entertainment. Everything was pretty much black and white within the area of the plots or storylines, good was good and bad was at times downright evil. But it was not just the movies that shone like precious and valuable golden nuggets during this period, music in motion pictures became an important and also a vital component of the whole filmmaking process. Directors and producers utilising this fairly new commodity to its full potential to enhance and support their projects. I think it would be fair to state that film music owes a great debt of gratitude to composer Max Steiner, who broke new ground with his score for the 1933 version of KING KONG. What was interesting and innovative about Steiner’s approach on this movie was that the composer actually scored the music to the action taking place rather than just providing the movie with a constant musical background or wallpaper, which had been the norm up until then. What Steiner started was soon to become the way forward for music in film or film music, thus the film score as we know it was born and rapidly evolved and improved as time passed, composers such as Korngold, Rozsa, Newman, Toimkin and Waxman became sought after by filmmakers and studios and their scores and style of writing has now become a reference for all other composers that have followed. But let us also not forget that whilst all this music was being produced in Tinsel town, British films too had a Golden age and composers such as Sir William Walton, Ralph Vaughn Williams, Sir Arthur Bliss, Richard Addinsell, Clifton Parker, Sir Arnold Bax, William Alwyn and Alan Rawsthorne were responsible for writing some great movie soundtracks during the 1930s and 1940s, a fact that is slightly overshadowed and neglected because of the Hollywood film score. But Alwyn, Williams and Walton in particular were responsible for creating a sound and a style that was to become synonymous with the British produced movie. It is quite unbelievable that it has not been till recent years that scores from British films from this period have been given any time or space by record companies, and it is thanks to labels like Chandos, Naxos and Silver Screen that collectors have got to savour the musical masterpieces created by these talented yet underrated composers. There were also composers in Europe that are most note worthy, who were very active and creative during this period.